Juli Dreifuss is an associate in the Wealth Transfer & Succession Planning group at Much Shelist. She advises clients on tax planning and the integration of estate plans and corporate structures, with an eye toward transferring wealth and business interests in a tax-efficient manner. Before joining Much Shelist, Juli began her career as an estate planning associate at Katten in Chicago. After graduating from the Ross School of Business at the University of Michigan, Juli attended Chicago-Kent College of Law. She also served as a judicial extern for the Honorable Jill McNulty, Appellate Court of Illinois, in 2006. 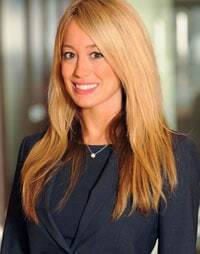 She was named an “Emerging Lawyer” by the Leading Lawyers Network in 2015-2016 and has been named an Illinois Super Lawyer “Rising Star” for the past three years. While Juli focuses her public service efforts on animal welfare, she is also acutely aware of the advantages she enjoyed growing up as a Jew in the Midwest. Through her involvement with ORT, she hopes to help secure the same freedoms and opportunities for others around the world. Juli resides in Mettawa, Illinois, with her husband, David, and her daughter, Lanie. Matt Gaines began his career at Altair in 2005 as a summer intern and joined the firm as an Associate Consultant, upon graduating from college. He was promoted to Consultant in 2009, Senior Consultant in 2013 and Director in 2017. Matt is very involved in the Jewish community and serves as a member of JUF’s Professional Advisory Committee and the Legacies & Endowments Committee. In 2016, Matt was named to Oy! Chicago’s 36 Under 36 list. 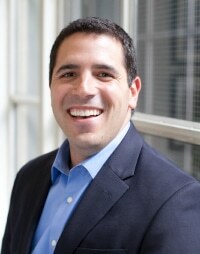 Additionally, he serves on the Jewish Council for Youth Services (“JCYS”) Board of Directors. Matt is a CERTIFIED FINANCIAL PLANNER™ certificant and a CFA® charterholder. He holds a degree in Personal Finance from the CFP Board Certified Financial Planning Program at the University of Wisconsin-Madison and is a member of the CFA Society of Chicago. Matt and his wife, Sarah, along with their two daughters, reside in Highland Park.